–Harry Marra talking to Spikes about what it’s been like to coach the Eatons. Mara gets rare back to back QOD honors. 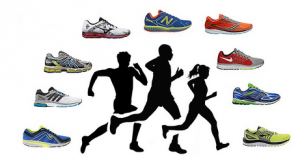 Are there any serious physiology-based advocates of running VERY low mileage (800)? 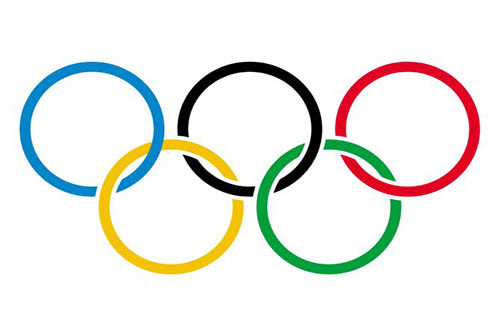 Guess what sport still holds the BBC2 record for viewership from 1985? What say you? adidas ad with old man breaking out of nursing home to go for a run- awesome or too cheesy? Could a manmade object make it to the nearest star (not our Sun) within 500 years? 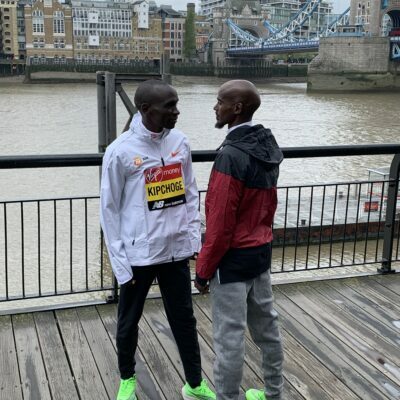 Coming Saturday LRC Great Edinburgh XCountry Preview: Mo Farah Opens His 2017 Season As Garrett Heath Goes For Four In A Row Mo Farah‘s 2017 campaign begins on Saturday morning in Scotland where he’ll try to prevent Garret Heath from pulling a stunner yet again. Euro XC champ Aras Kaya of Turkey, plus Club XC champ Sam Chelanga and U.S. Olympians Leonard Korir and Hillary Bor also feature in the men’s 8k. In the women’s race, Euro XC champ Yasemin Can of Turkey faces U.S. Olympian Marielle Hall and Sarah Pagano. Laura Muir, Kyle Merber and Will Leer are among the legs in the mixed-gender 4 x 1k relay. Watch it live starting at 8:15 am ET. Edmonton’s TrackTown Classic drops out of National Track League circuit The $405,000 cost was just too high. The other 4 meets will remain. We had zero idea they spent that much. How about combining two or three meets and have the first Canadian DL meet? 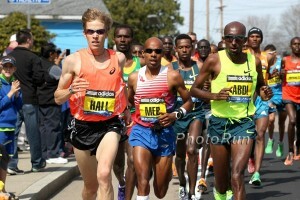 It’s Official: Galen Rupp Plus Fellow Rio Olympic Marathon Medalists Fiyesa Lilesa And Mare Dibaba Will Run Aramco Houston Half Marathon Next Weekend The message board rumors are true. Nick Symmonds Formally Announces (In New York Times) That 2017 Will Be His Last Season He also announced that he doesn’t consider himself to be a runner. 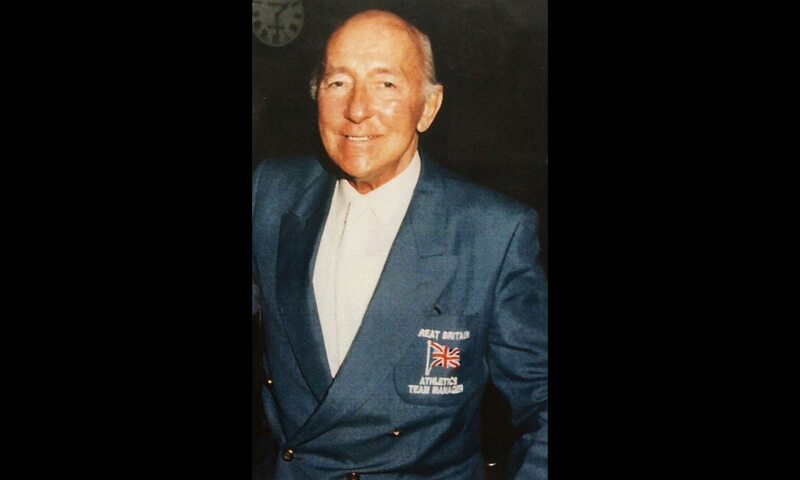 Interesting Fact: One Of Seb Coe’s Grandfathers Was Indian Shouldn’t their national records be faster than 1:45 and 3:38? LRC 2017 NYRR Millrose Games Adds Six Rio Gold Medallists To Field – Event Will Feature At Least 11 Rio Gold Medalists The event takes place on February 11th. 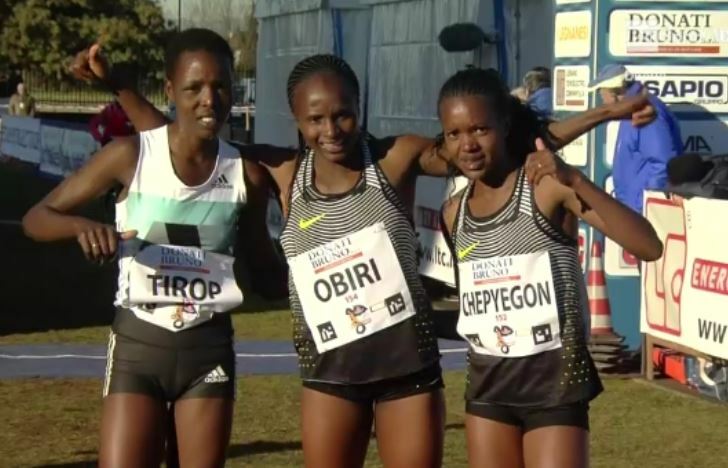 Madrid: African 10,000m Champ Eritrea’s Nguse Amlosom And Kenya’s Brigid Kosgei Win San Silvestre Vallecana In Madrid Donn Cabral was 8th in 28:53. 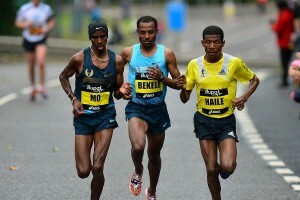 January 2 Boston Champ Lemi Berhanu Wins Xiamen Marathon In 2:08:27, Comes Up Short Of Chinese All-Comers Record Of 2:06:19 Beijing Marathon champ Meseret Mengistu won in 2:25:58. 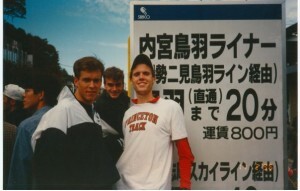 Recommended Read Craig Masback Writes About How He Went From 4:48 in HS to Being The 2nd Person Ever To Break 4 at Iffley Road The former USATF head nearly quit running after college, but before his career was over Roger Bannister was critiquing his races, and that running career led to him leading USATF. The guys at the Daily Relay share their strongest memories from 2016 From watching the Olympic marathon trials in a bar to Allyson Felix bombing out of the 200, they’ve got you covered with the highs and lows of the year. 66-Yr old guy vowed to run at least 1 mile and drink 1 different type of beer every day in 2016 – he ended up with 1,950 miles and 366 different beerss His favorite beers? AleWerks Brewing Company’s Jubilee and Berkshire Brewing Company’s Shabadoo Black. Croatia’s Sara Kolak win in the javelin was one of the biggest upsets in Rio – Learn about her backstory here At the Olympics, she PRd by nearly 9 feet. Yes, it’s true. 2.68 meters. Jamaican columnist wonder is Wayde van Niekerk will try the 200 / 400 double at Worlds? And if so, will the schedule be changed? We’re wondering if Bolt is giving up on the 200 – his supposed favorite event – as he doesn’t want to end his career with a loss to van Niekerk at Worlds? Good Read Phil Hersh Hands Out His End-Of-Season Olympic Awards – Usain Bolt, Not Michael Phelps, Is His Male AOY As he has for the last 30 years, Phil Hersh hands out out his end of season Olympic awards. From Neymar to Uchimura to Jorgensen, he’s got you covered. Associated Press Takes A Look At Why So Many Sneaker Companies Are Based In Boston: Beantown As Shoetown: Sneaker Makers Stake Claim In Boston | The Island Packet Somehow they fail to talk much about Portland or Baltimore (Under Armour). Usain Bolt Wants A Cameo In The Flash Movie Due Out in 2018 Flash is the fastest man alive in the DC Universe. Nos Galan Road Races Founder Bernard Baldwin Dies Aged 91 He founded the New Year’s Eve races in 1958 in memory of Guto Nyth Bran. Every year they feature one mystery runner. Susanna Kallur Announces She’ll Compete In Karlsruhe On Feb. 4 – Site Of Her WR in 2008 The women’s 60H is stacked as Sally Pearson is in it as well. Great Read Pat Butcher Talks To The Extraordinary Ed Whitlock Whitlock ran his first marathon in 3:09 in his 40s. In his 70s, he’d break 3 hours. Check out Butcher’s Emil Zatopek biography here. Interesting Q&A With Scott Newman, Former Athletics New Zealand Head And Agent For Eliza McCartney And Tom Walsh NZ won 4 Olympic track medals while Australia won just two. 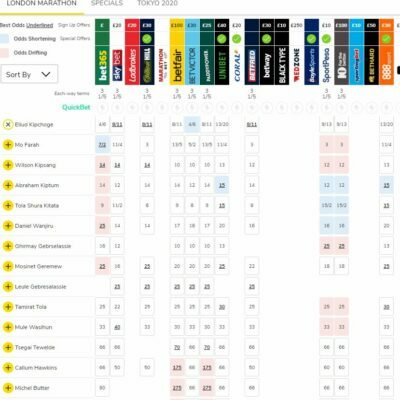 *Niels de Vos Thinks London 2017 Will Be Better Than Rio 2016 – At Least For Those From The UK People can watch the action live and there will be no other sports to distract the fans. Two-Time Irish Olympian and 1969 NCAA 880 Champ Frank Murphy Dies Due To Parkinson’s He also anchored two DMR teams to victory, won 8 Penn Relays titles and was on 3 NCAA xc championship teams. 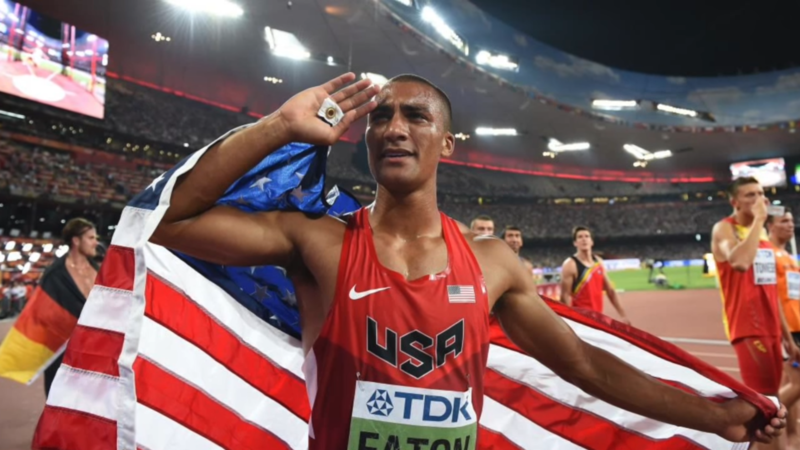 LRC The World’s Greatest Athlete, Ashton Eaton, Retires In His Prime; We Pay Tribute With Our 5 Favorite Ashton Eaton Memories The greatest decathlete ever and his wife are both calling it a career at age 28. We pay tribute by sharing our five favorite Ashton Eaton memories. 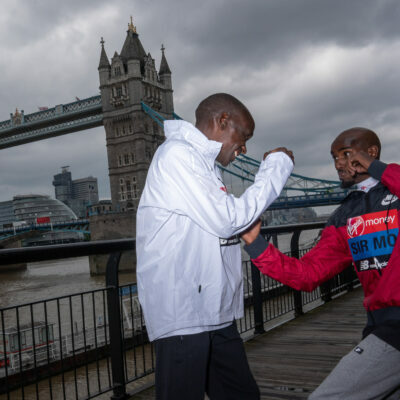 Ex-Olympic 400H Champ Felix Sanchez Is Going To Kenya On Jan. 16 For 10 Days To Coach Global Medalists Nicholas Bett And Boniface Mucheru Of course, Athletics Kenya isn’t paying for it. No, Finland-based Jukka Harkonnen Sports Management is paying the bill. Nice Gesture Olympic Gold Medalist Brianna Rollins Buys Her HS Team State Championship Rings They’ve won 8 straight FL titles, including when Rollins was there, but were never able to afford rings – until now. British Paralympian Kadeena Cox Will Have Her Lottery Funding Suspended While She Competes On A TV Show In reality, they should pay her double for helping make the sport have personalities. 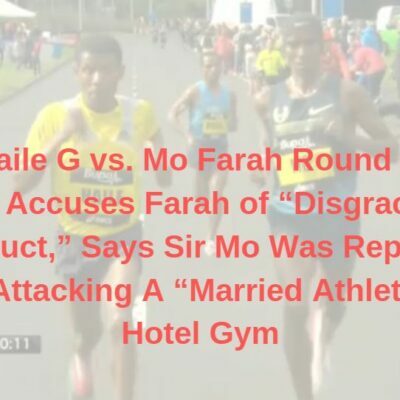 Wayde Van Niekerk Named Track And Field News Athlete Of The Year Mo Farah #2, Usain Bolt #3. Hammer Thrower Anita Włodarczyk Named Track And Field News Female Athlete Of The Year And we bet 95% of track and field fans couldn’t name her. Almaz Ayana 2nd, Elaine Thompson 3rd. Ashton Eaton Is TFN’s US AOY Evan Jager and Matthew Centrowitz tie for #5. Keni Harrison Is TFN’s Female US AOY Emma Coburn is the only distance runner in the top 10 at #8. Interesting Read Alfons Juck Looks Back And Looks Forward He looks back and sees how his 10 questions for 2016 ended up. And then poses 10 questions for 2017. He also shares his top 10 moments from 2016. 38-Year-Old Dwain Chambers Is Still Racing, Runs 6.64 For 60m To Kick Off 2017 That’s his fastest 60 time in nearly 3 years.